A few weeks ago Luke’s brother and family came to stay with us for the weekend on their way to New York City. 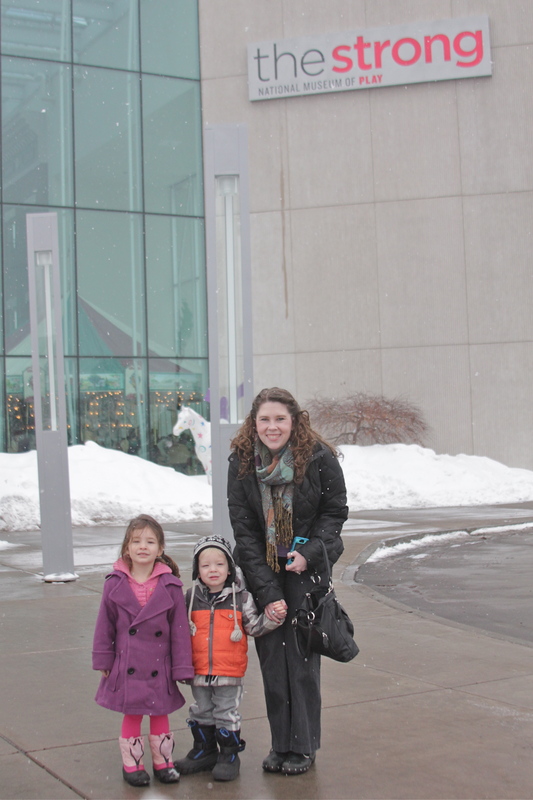 We tried to think of what to do with them in this very wintery and snowy season and decided to talk them to Strong’s Museum of Play in Rochester. We had heard it was a great museum and my cousins had gone with grandparents there years ago but we have had not excuse to go . .. until now. Luke’s brother had to stay home and work on a paper so it was Luke, myself, our sister in law Ruth and the niece and nephew: Lizbeth and Matthew. When we got up there we decided to first go to a magic show. Lizbeth (4) loved it but Matthew (2) was a little squirmy so Uncle Luke took him to go play somewhere else until the show ended. When we got out of the magic show we took off to let the kids explore and they were overwhelmed. There were many kids and many places to play and explore. 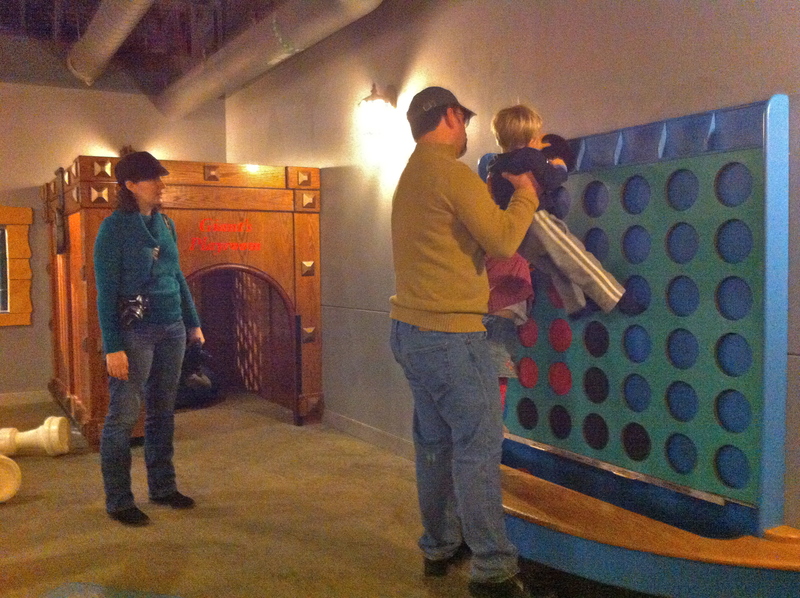 With an open floor plan the adults were playing a game too: how three adults can keep track of the two children. Matthew who loves trains enjoyed riding the train with his sister and Aunt (me) since they are still too short to ride alone. 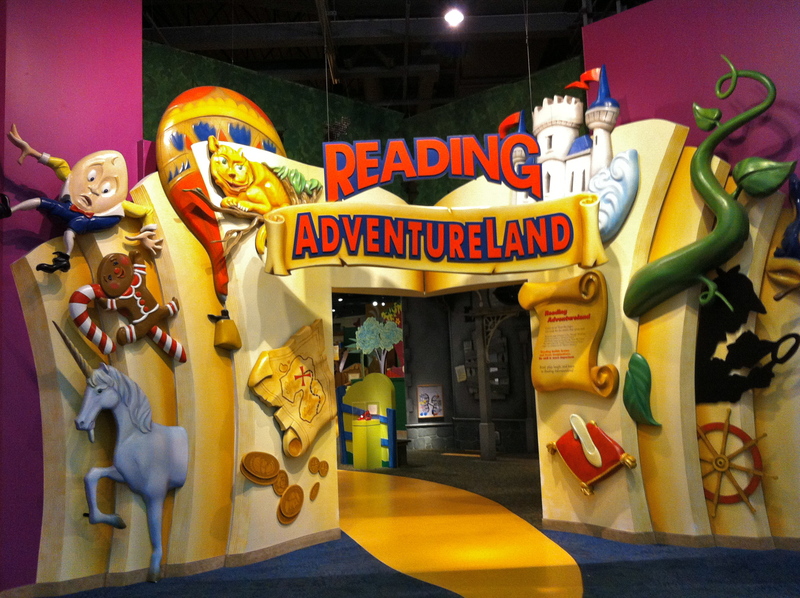 Although we enjoyed the open floor plan play we knew the kids were tired of it and so we moved on to the next place my favorite: Reading Adventure land (yes I’m an English teacher). 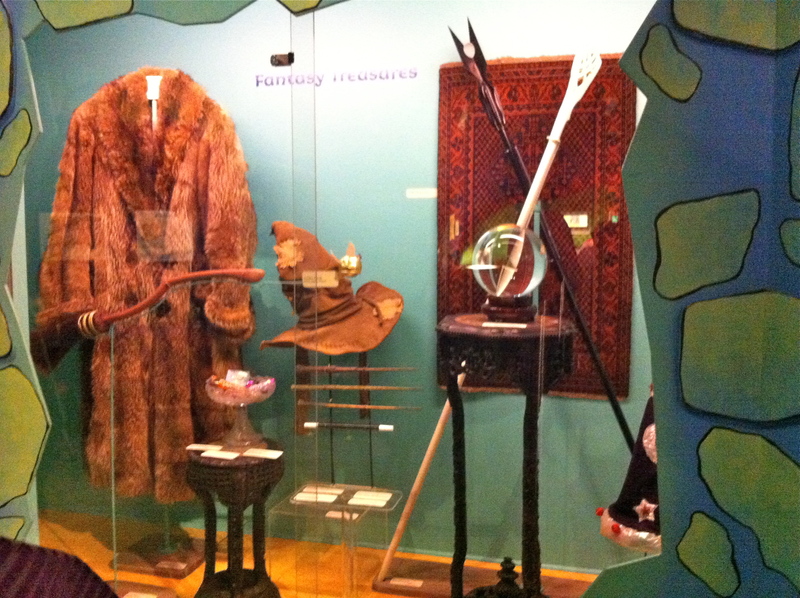 Each little play area was based on a genre of books: mystery, fantasy, adventure, fairytale. In each section there were museum collections of toys, movie memorabilia, crafts, and things to climb, props to dress up in and buttons to push. On top of all of that each area had books from that genre you could check out from the Museum using a Monroe County Library card. 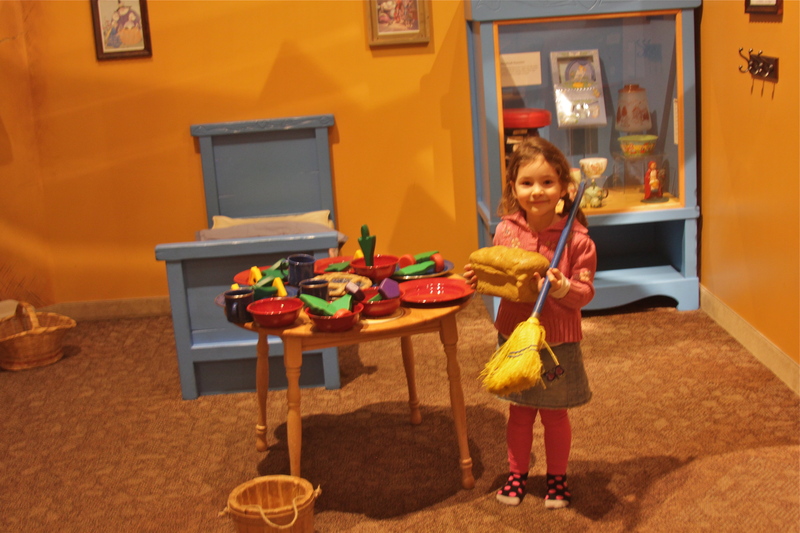 Lizbeth spent over an hour in the fairytale land climbing jack’s beans stalk and playing “house” in the gingerbread house. Meanwhile Matthew explored the shipwrecked ship in the adventure area and made a crown at King Arthur’s round table. 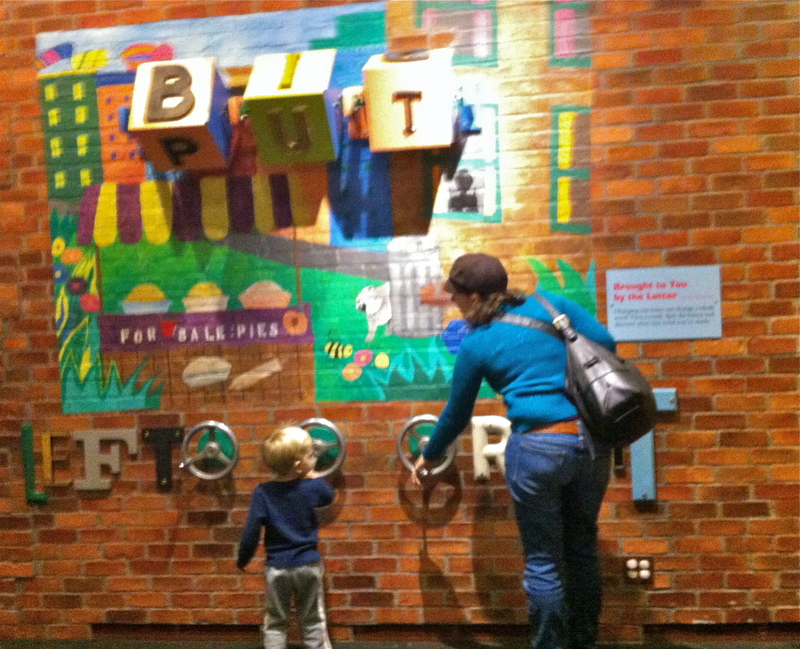 While they were busy playing in the same place within Mom’s eyeshot Luke and I decided to explore on our own. 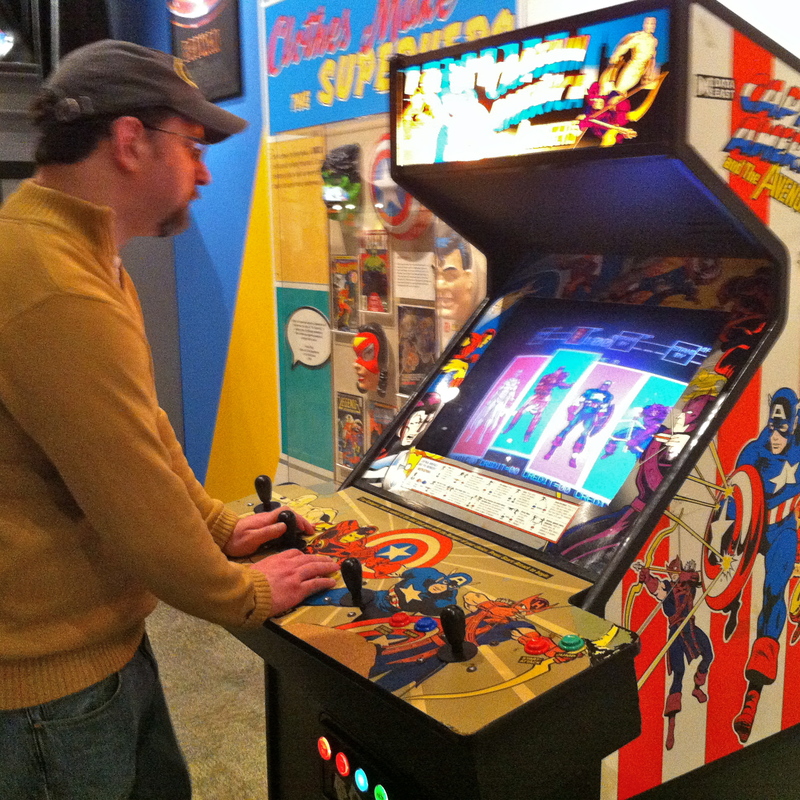 We walked around the comic-books superhero area where Luke and I were able to have some fun of our own: playing an old arcade game Captain America and the Avengers. 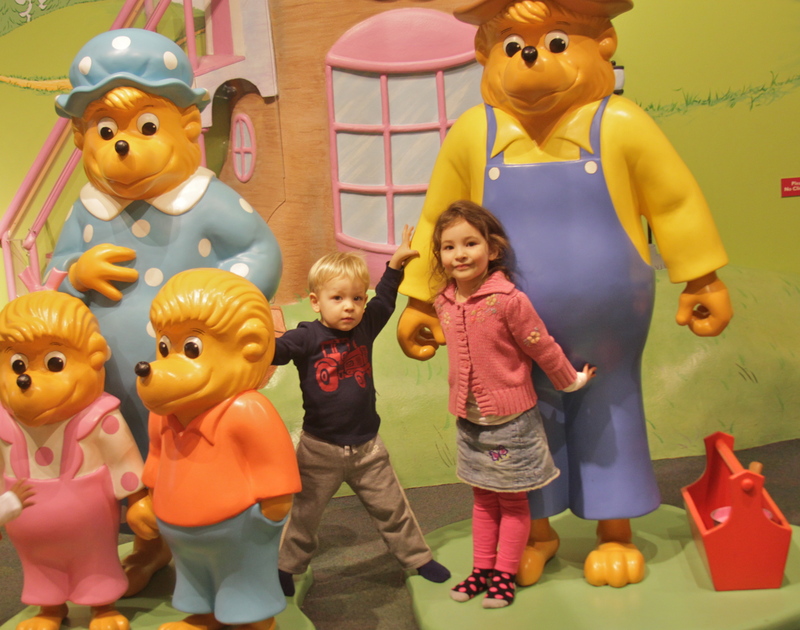 Eventually tired of the adventure-land area the kids moved on to the Bernstein Bear playhouse room. A replica of the Bernstein Bear world the kids could play grocers, quilt shop owner, work in the wood shop, farmers market, restaurant among other play areas. Once again the kids content Luke and I decided to explore again on our own. We went upstairs to the travel through time area. 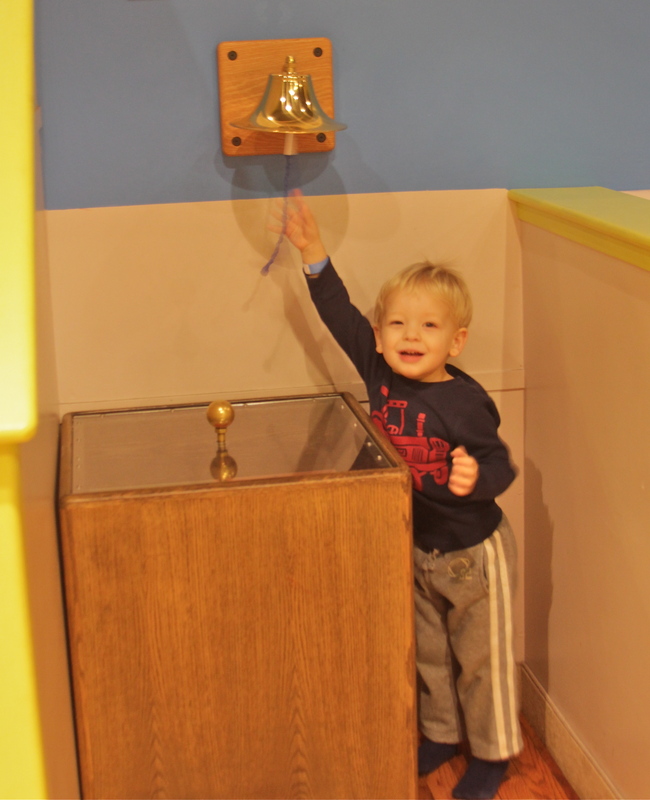 This area was fun for us because each museum area was dedicated to memorabilia and toys from a different decade including toys to play with for that era. (Sorry not pictures my phone died). Then we found the grown-up play area: the arcade.On the outside walls were many popular games such as a giant light bright, tetris with giant joy sticks, guitar hero, older pixel computer game some newer (2000’s) and some older (1980’s) all fun. In the middle was a tokened game area with arcade games including frogger, pac man, Atari star wars x fighter games, pinball machines and many more. 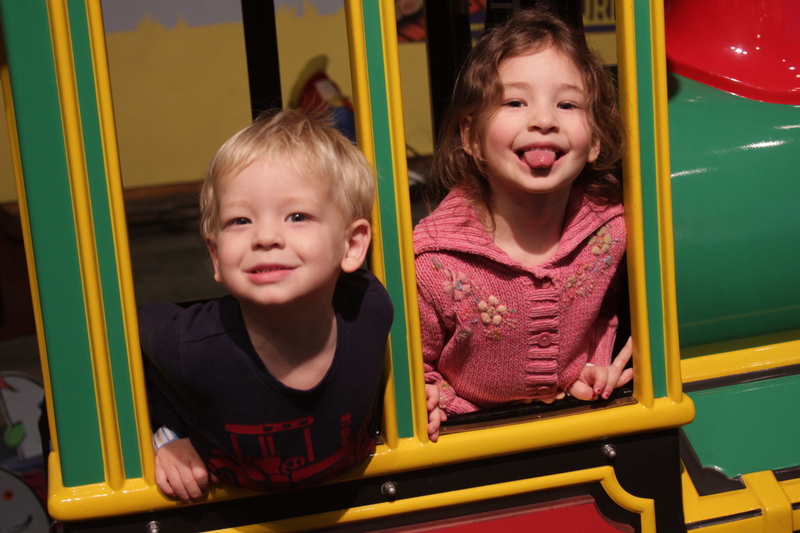 We caught up with the niece and nephew back in the Bernstein Bear area where they were contently playing in the farmers market watching produce go up through the mill and into the barn. 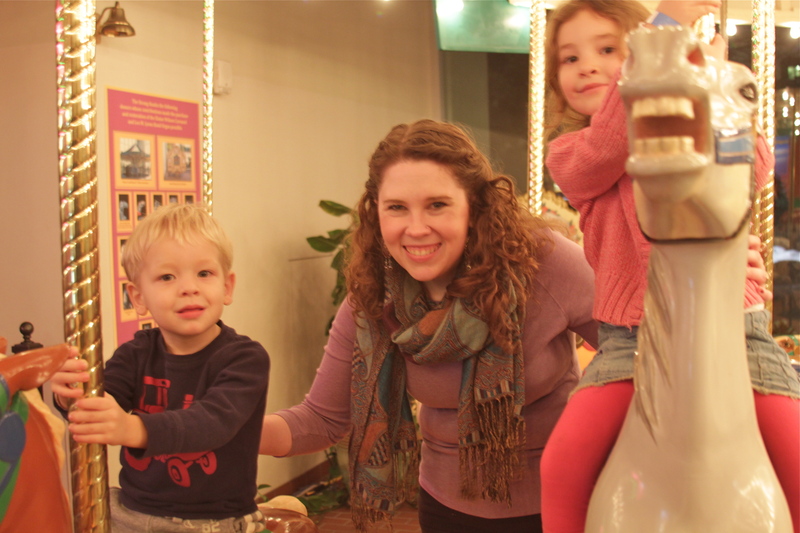 It was getting close to dinner time so we headed to the front of and had a short ride on the carousel before heading back into the snow. Once settled in the car and after snacks both kids were sound asleep as we drove back to our house. It was a successful day of play. Loved this! The pictures showed up wonderfully on my new computer. Thanks for taking the time to do this!